FOSTER CARERS PLAY A VERY IMPORTANT PART OF ANIMAL RESCUE. FOSTER CARING IS ON A VOLUNTARY BASIS, WHERE CARERS ONLY NEED TO COVER THEIR FOOD. THEY HELP OUT WITH A SAFE, LOVING HOME AND KEEP THEIR RESCUE'S BELLIES FULL, UNTIL THEY GO TO THEIR FOREVER FAMILIES. Animal Rescue Tablelands is a Privately Run Volunteer Foster Carer Based Group. Our team of dedicated vets assess all rescued pets before they are sent to a foster home. 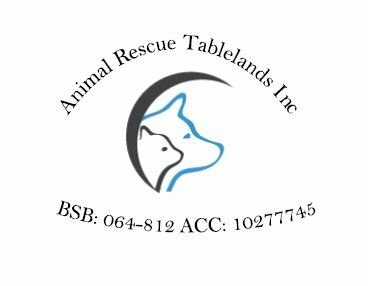 All vet work, de sexing, vaccinations, microchipping, worming, flea & tick treatment is covered by Animal Rescue Tablelands Inc.
Have a safe secured yard & be able to provide a loving environment, and provide basic training, food, bedding and socialising in preparation for their new forever families. Written by one of our wonderful foster carer's. RESCUES HAVE A WAY OF FINDING THE PEOPLE WHO NEED THEM, AND FILLING AN EMPTINESS WE DIDN'T EVEN KNOW WE HAD, WATCHING THEM GROW AND SEEING THE JOY AND HAPPINESS THEY BRING TO THEIR NEW FOREVER FAMILIES. Have a safe secured yard & be able to provide a loving environment, and provide basic training, food, bedding and socialising in preparation for their new forever families, and contact myself if you have any concerns at all about your rescue.